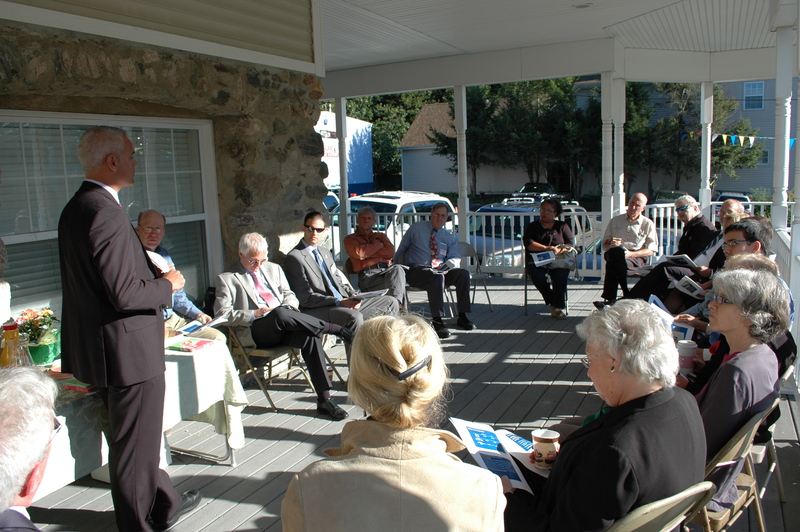 Second Tuesday of each month at 8am in the Chamber office. 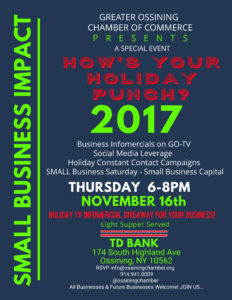 This is a morning coffee networking and educational program for local small business entrepreneurs. 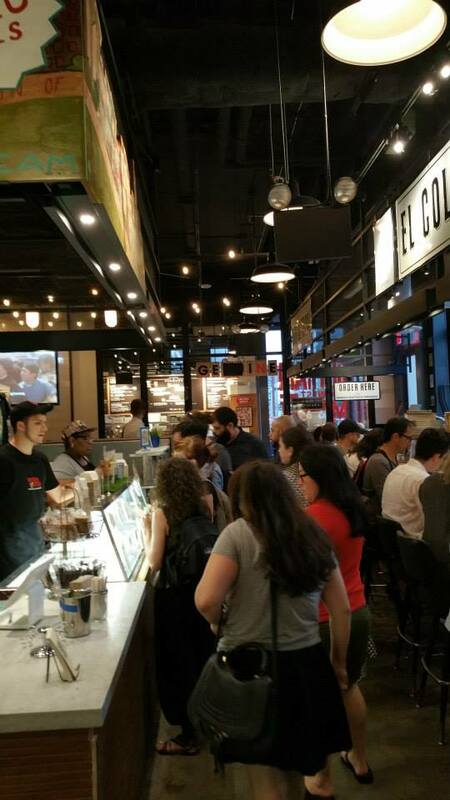 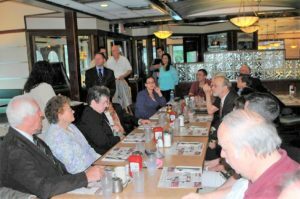 These networking, educational programs/workshops are traditionally held quarterly (March, June, September, December) at convenient central locations or member' s host this event at their businesses. 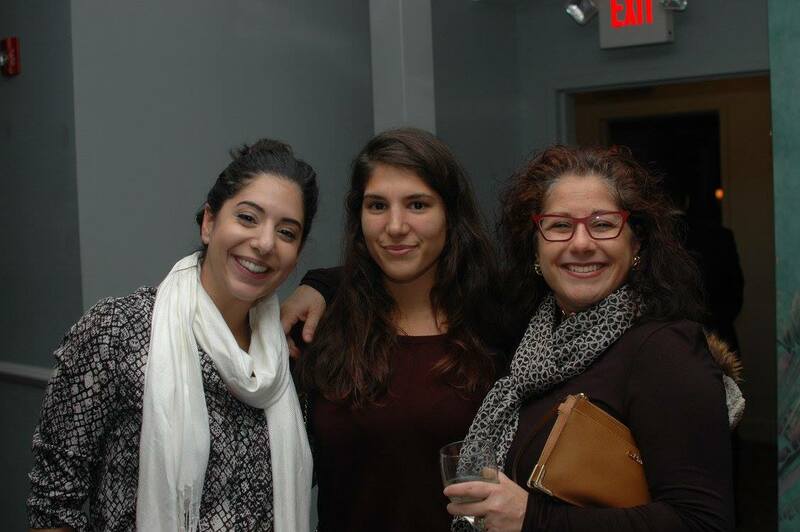 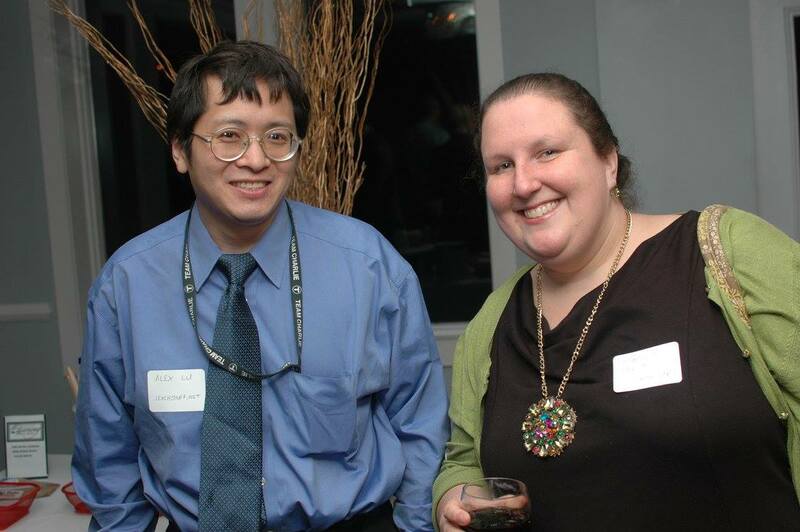 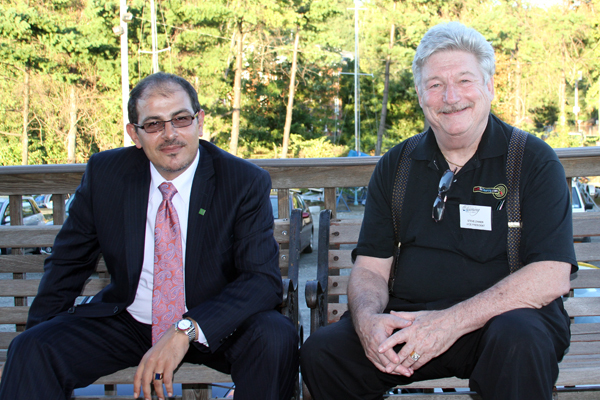 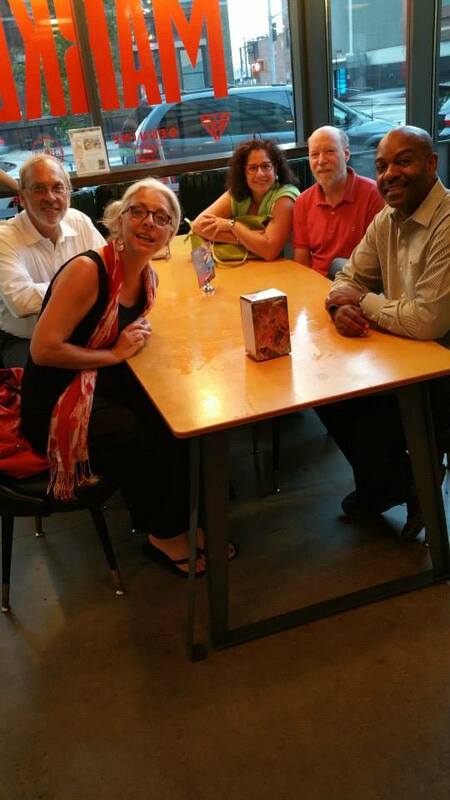 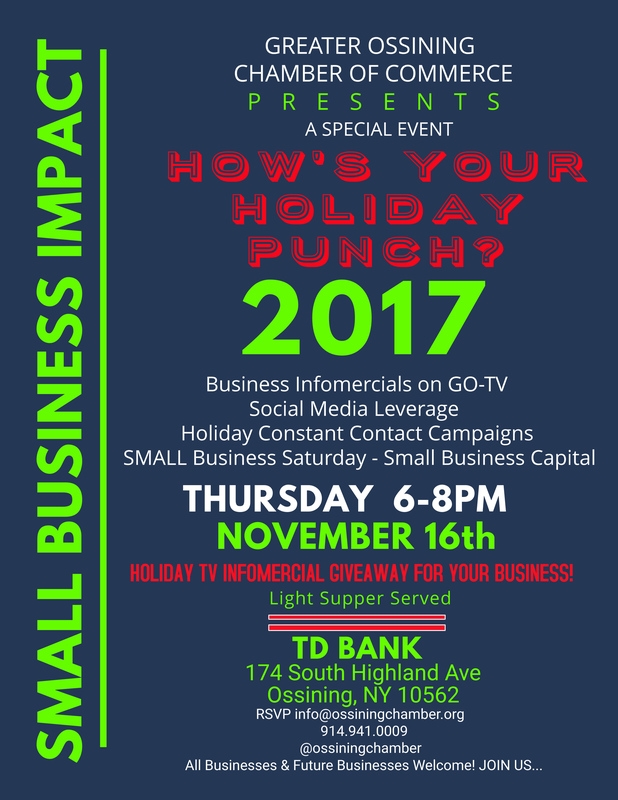 The Greater Ossining Chamber partners with local Chambers to host multi-chamber networking events. 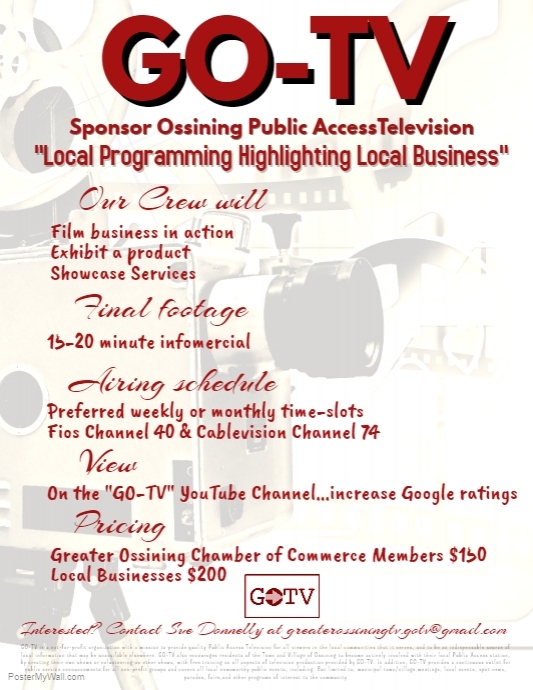 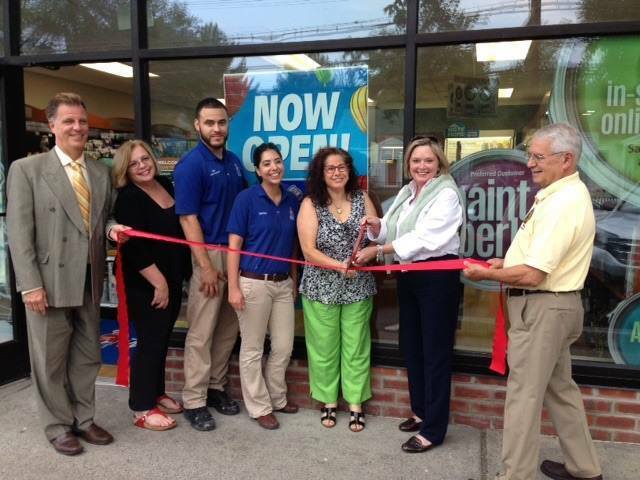 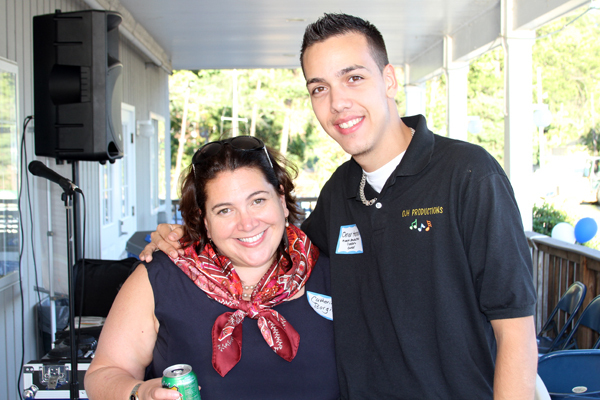 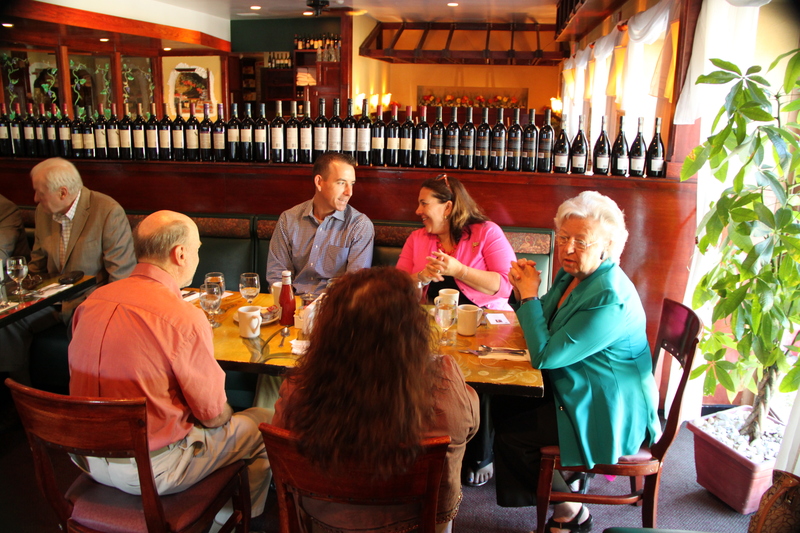 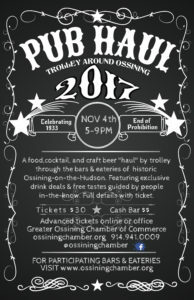 The Greater Ossining Chamber of Commerce, throughout the year builds programs and partnerships of value. 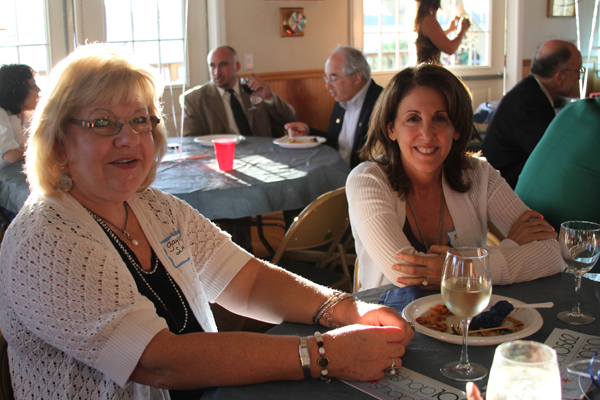 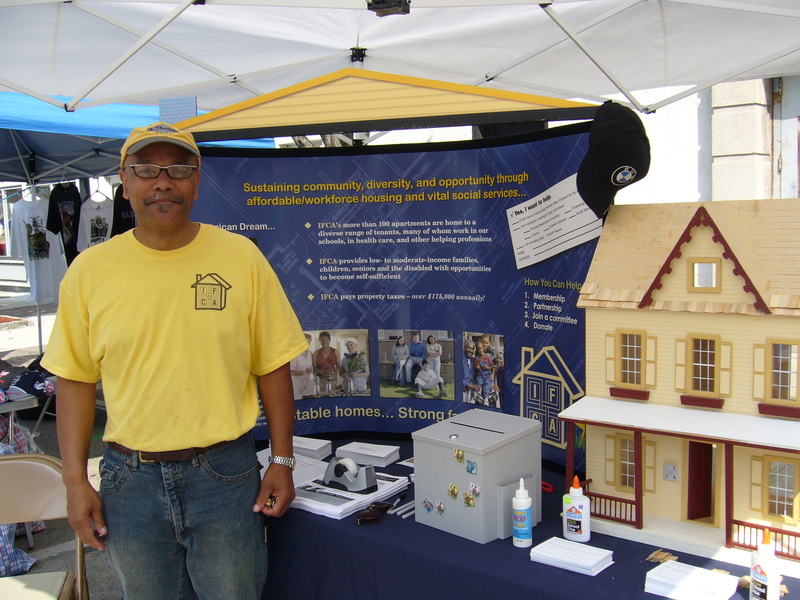 Community Event Calendar for Chamber Members and Non-Profit Organizations via Burbio. Get your events/sales/promotions on a calendar seen by the community. 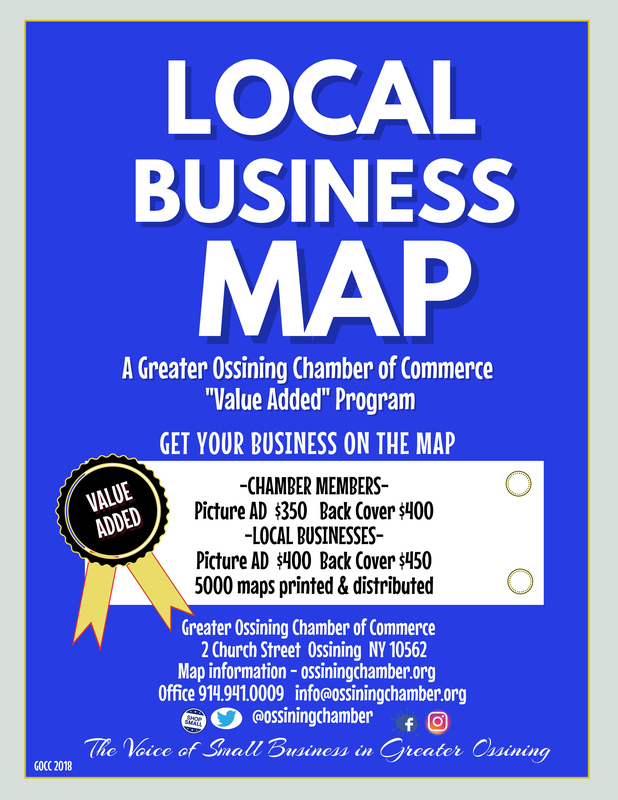 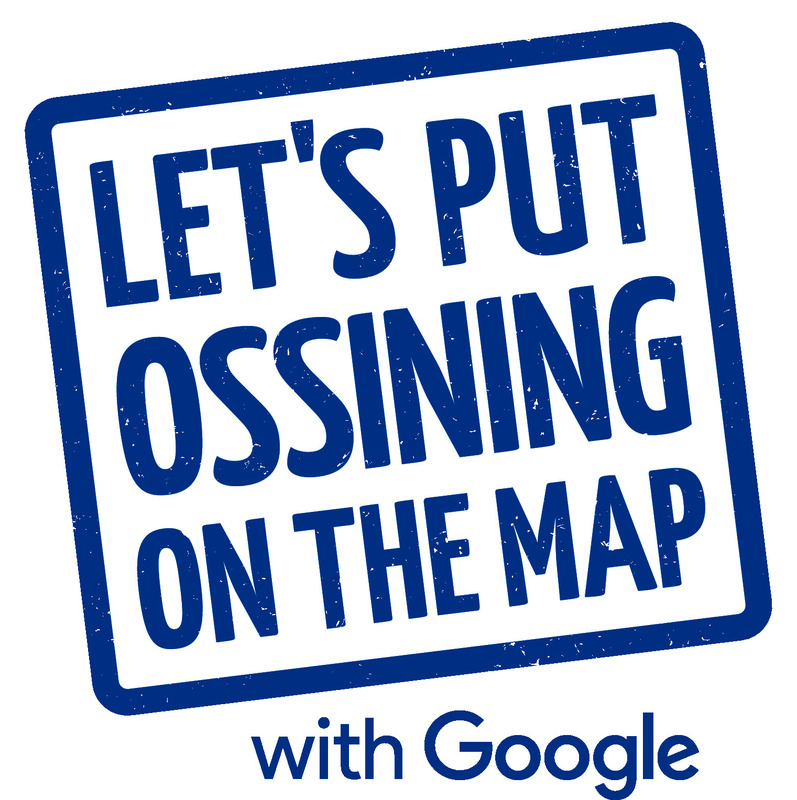 Greater Ossining Chamber Street MAP and Business Listing - The map will contain an area map of Ossining and Briarcliff Manor on one side and the Chamber member directory on the other side. Surrounding the maps will be 3” x 3” full-color advertisements of local businesses. 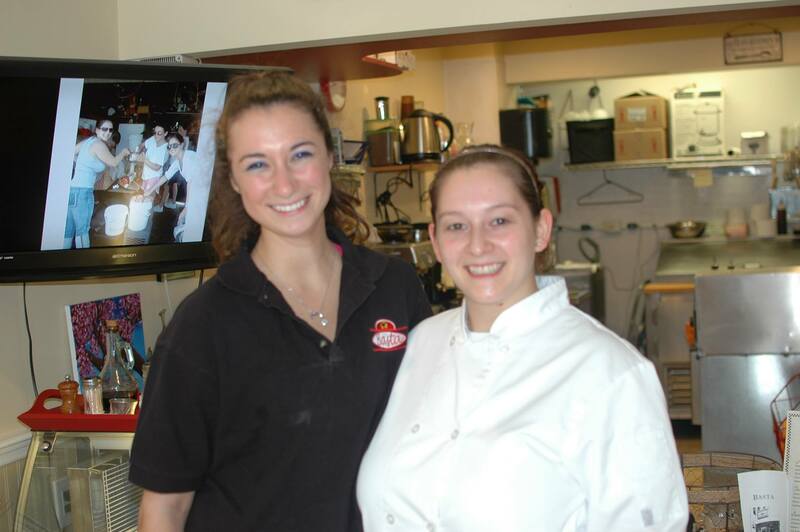 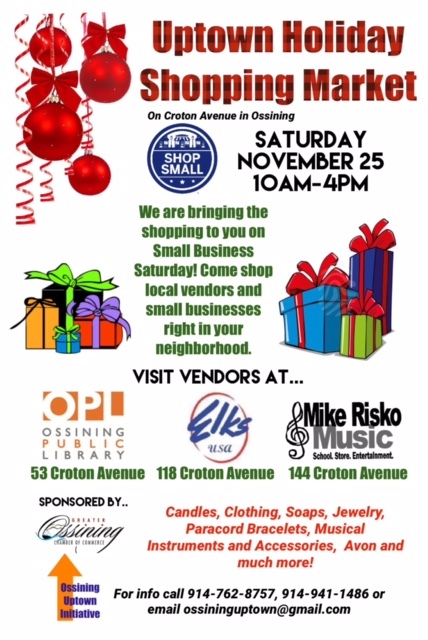 On the front cover, the Greater Ossining Chamber will display information and colorful photos of local interest. 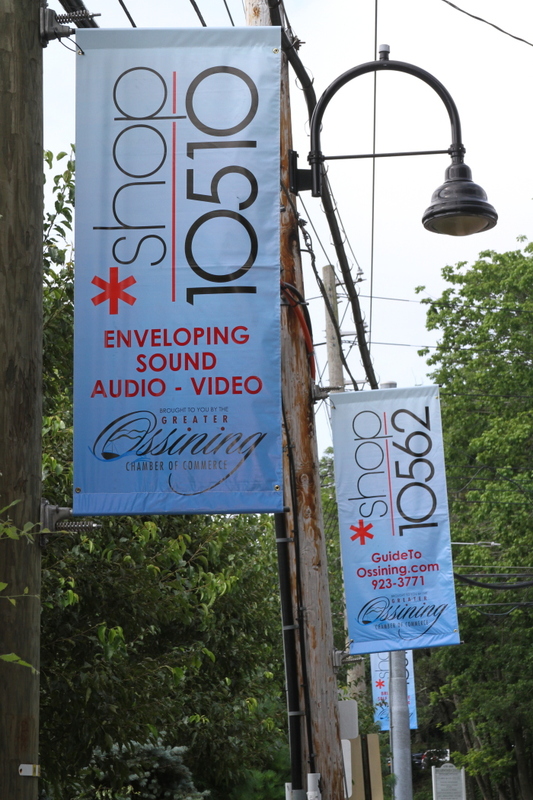 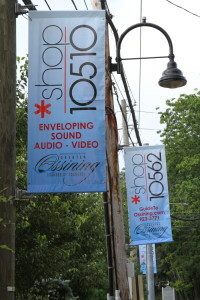 Banner Program - The Ossining Chamber of Commerce in cooperation with the Town of Ossining partnered to raise awareness of North State Road as a designated Business District and to specifically highlight participating businesses who commit to purchasing a pole banner to promote their business and the SHOP LOCAL program. 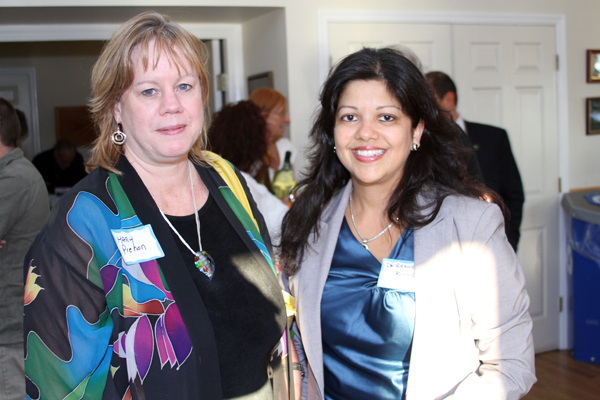 Chamber members are referred when product or service information is requested. 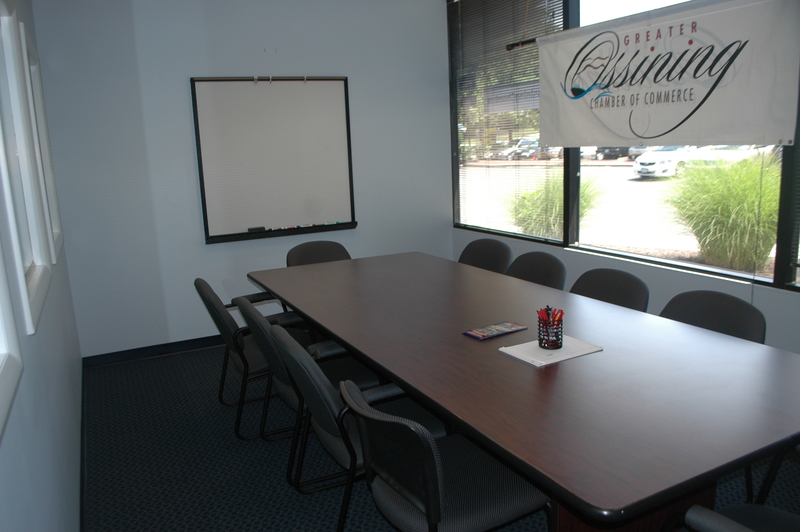 Members are welcome to display business cards and promotional collaterals in our Chamber office Resource Center. 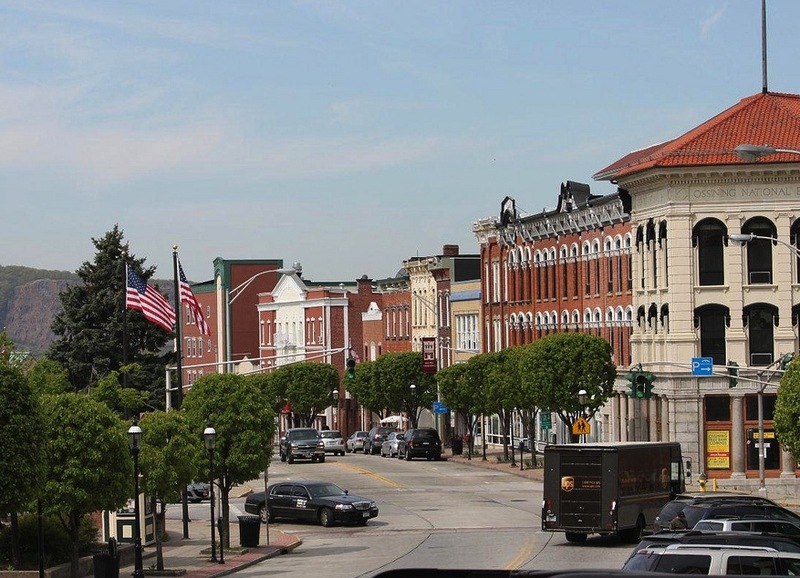 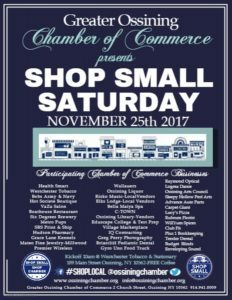 Members are listed in the Chamber's Membership Website Directory, used as an information piece on the area and a guide of recommended businesses to newcomers, local and out-of-town businesses, and residents. 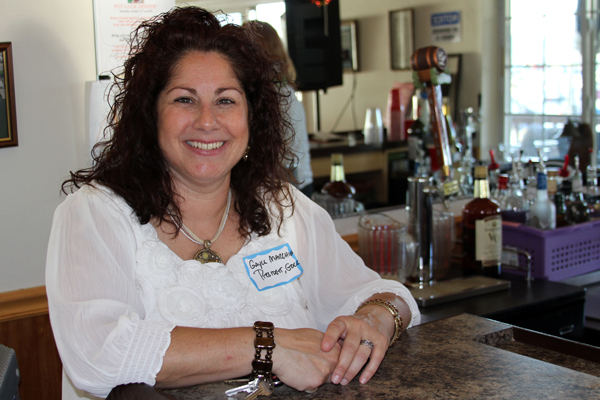 Daysi Briones owner of IQ Contracting Inc & Associates is a woman-owned construction business. 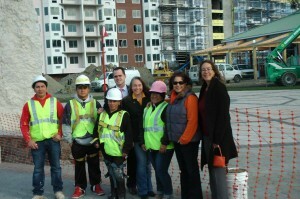 Completing project at Harbor Square. Conference Room at Chamber office, holds 12. 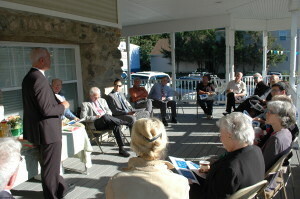 Upon request, members receive a ribbon cutting hosted by Chamber Leaders, and publicized by local media. 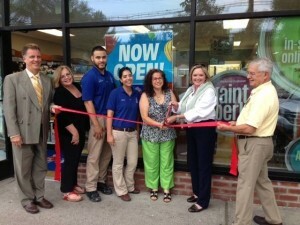 Ribbon cuttings are available to businesses that expand, relocate, or come under new ownership. 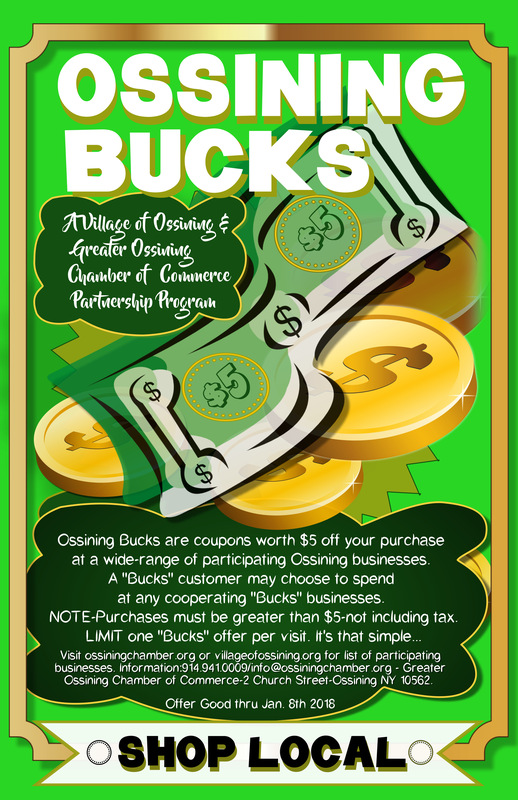 The Greater Ossining Chamber of Commerce is committed to helping our members improve their business through low-cost, and sometimes free, training workshops and seminars. 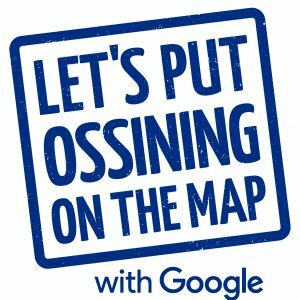 Subjects include Putting Your Business on Google Map, Profiting through Barter, Working with Local Government, just to name a few. 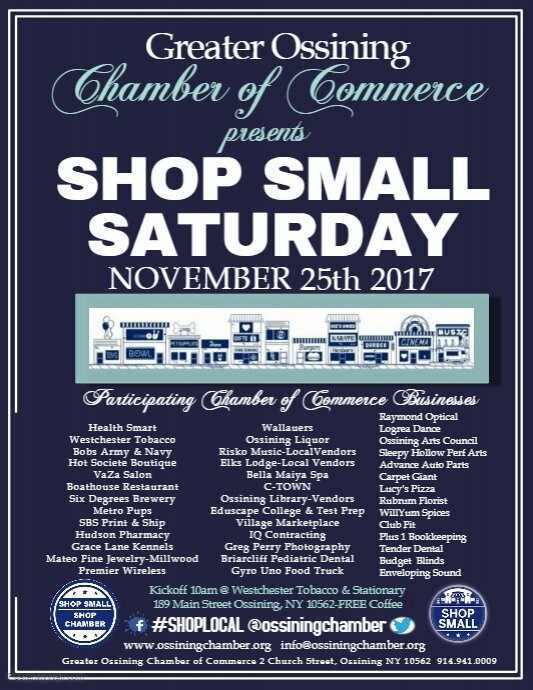 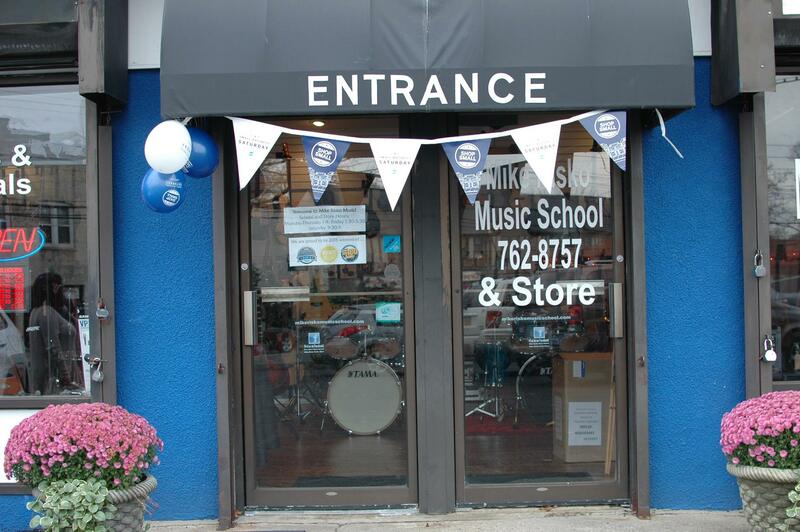 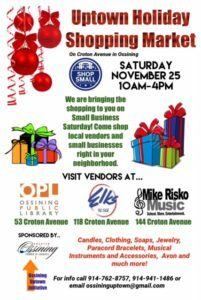 The Ossining Chamber members put together special promotions enticing the community of Ossining to Shop Local the Saturday after Thanksgiving. 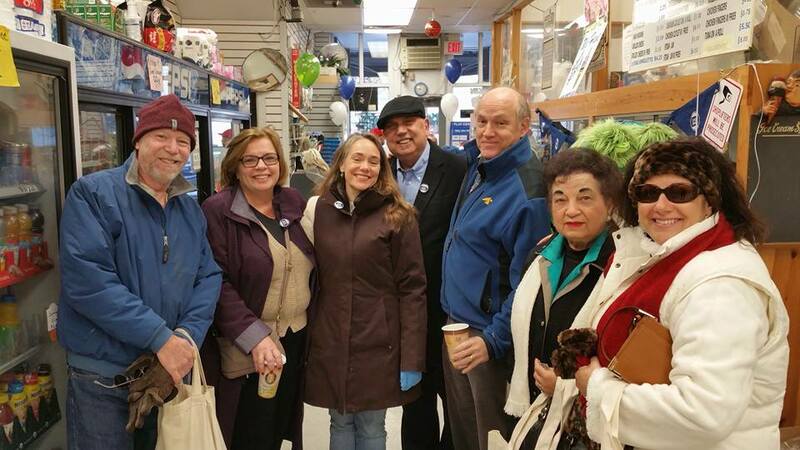 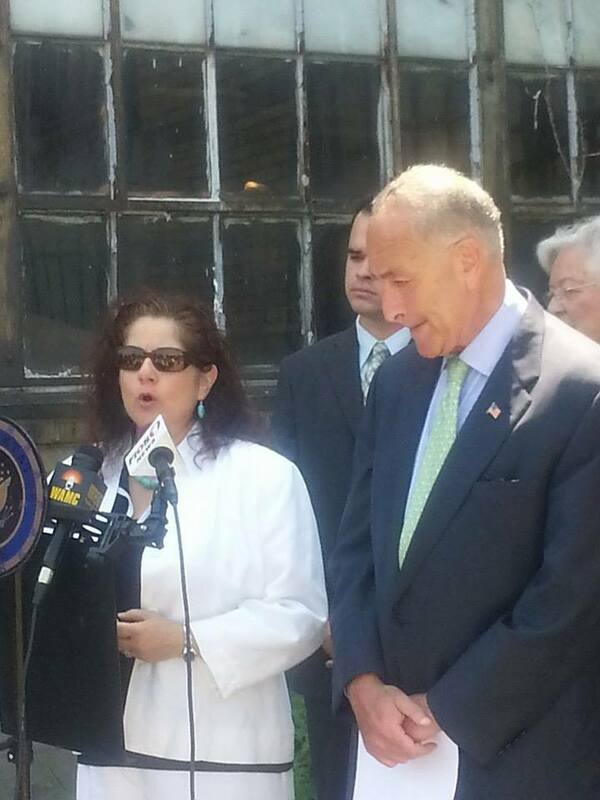 Small local businesses are the backbone of our economy. 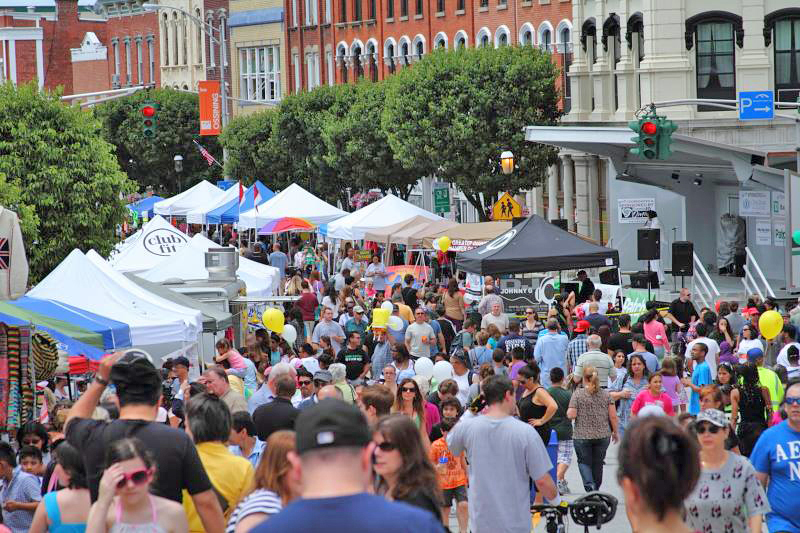 For every $100 spent at a local business, $73 remains in the local economy and $27 leaves. Compared to the same $100 spent at a non-locally owned business, where $43 remains in the local economy and $57 leaves. When profits stay local it increases the community's wealth, tax revenue and standard of living. 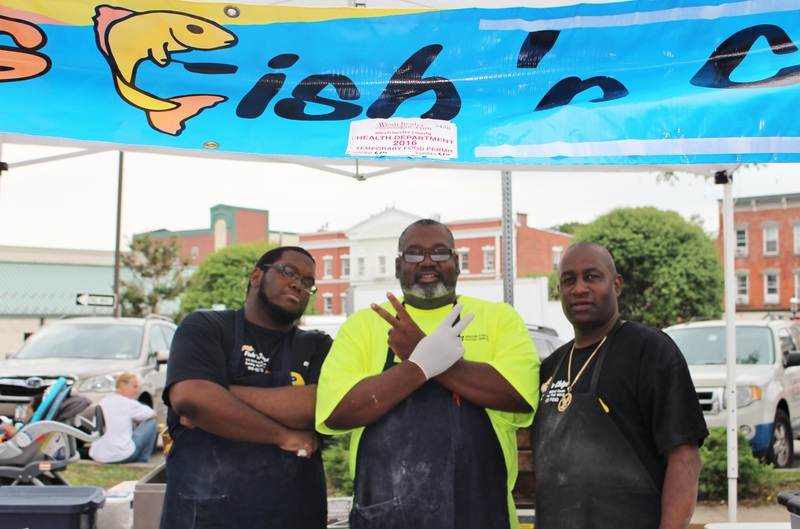 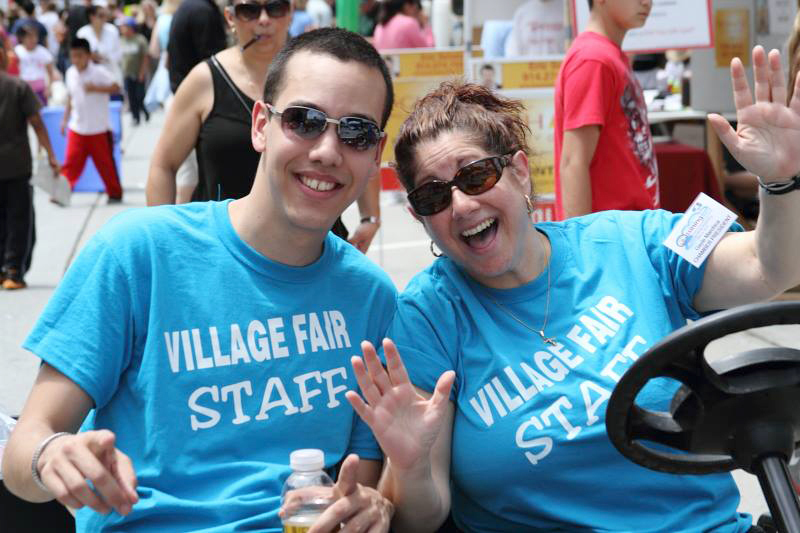 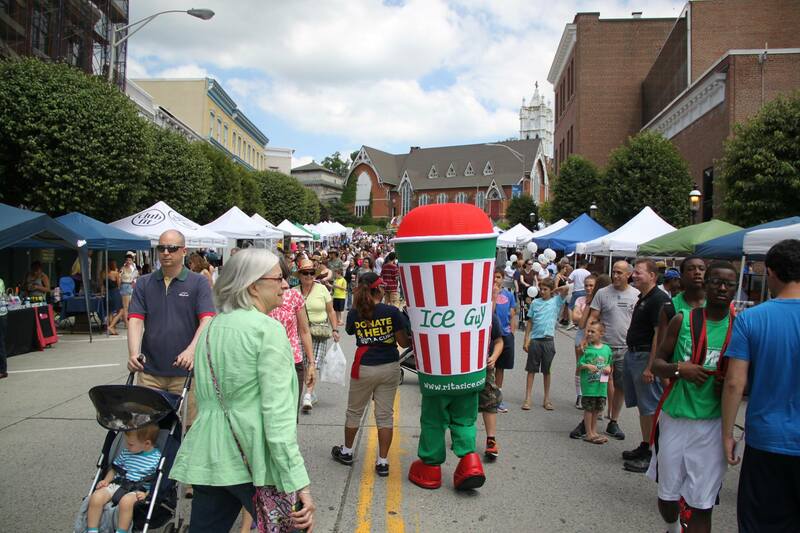 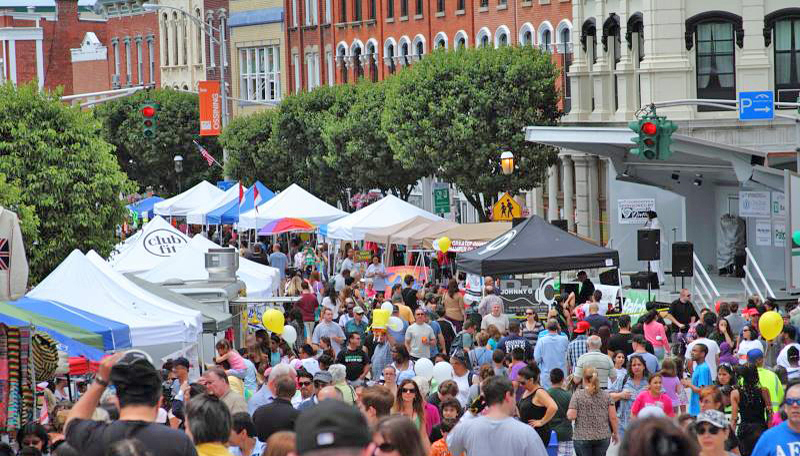 Annual Ossining Village Fair - is produced by the Greater Ossining Chamber. 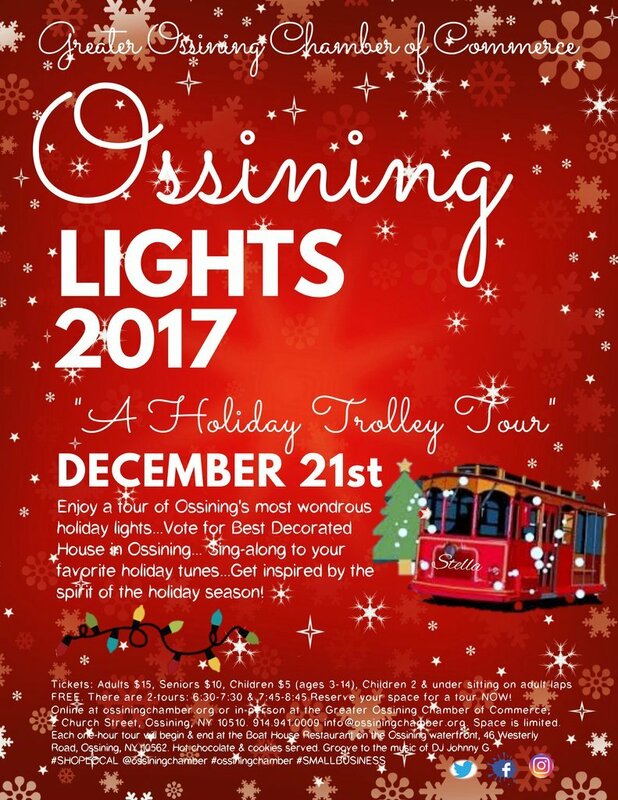 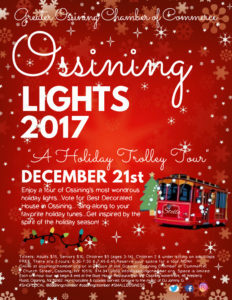 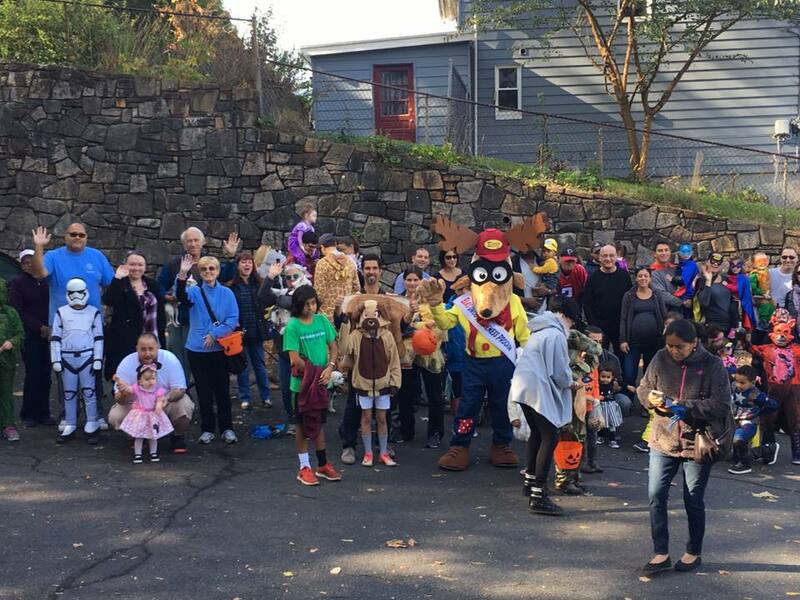 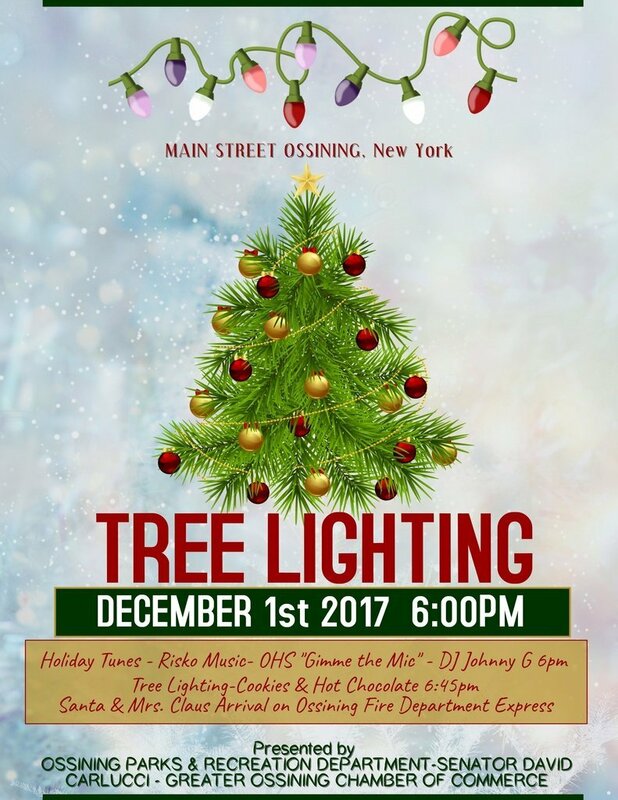 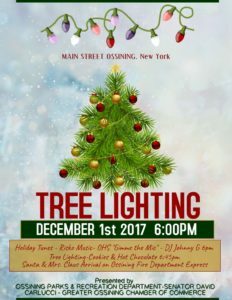 This event has been ongoing for more than 36 years and helps to show off the wonderful Ossining community. 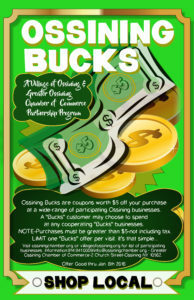 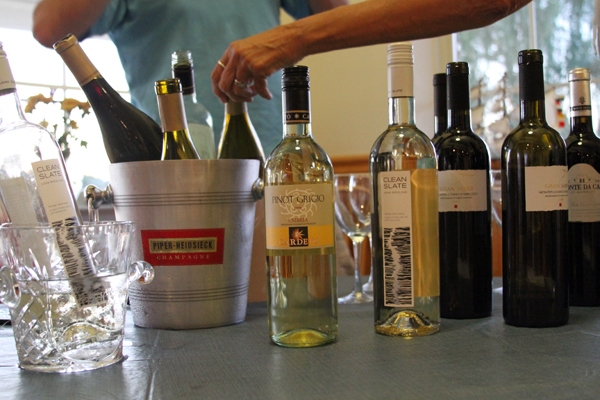 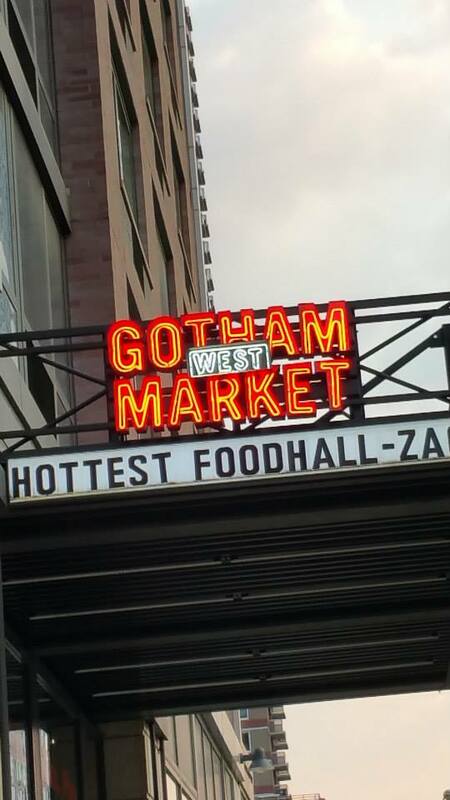 Members receive a 10% discount when they sign up to be a vendor. 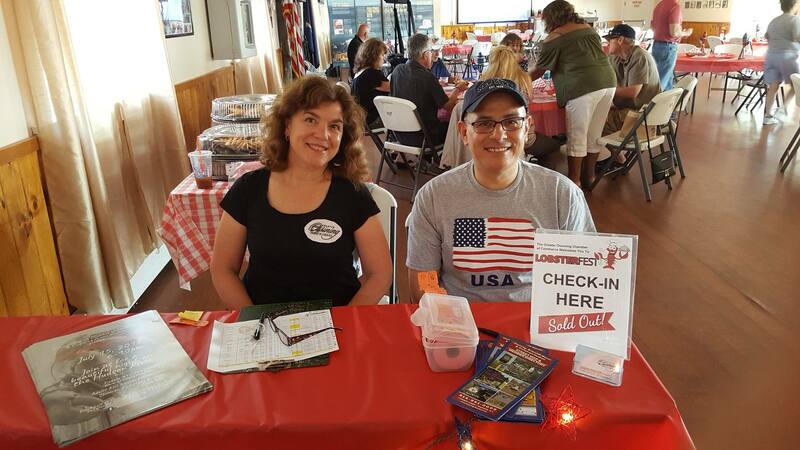 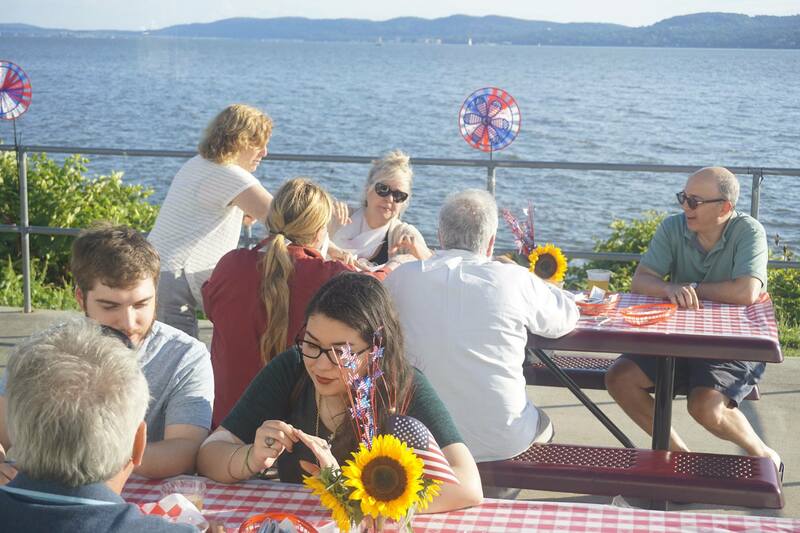 LobsterFest – This great community gathering of members and friends of the Chamber is on the Hudson River waterfront every August. 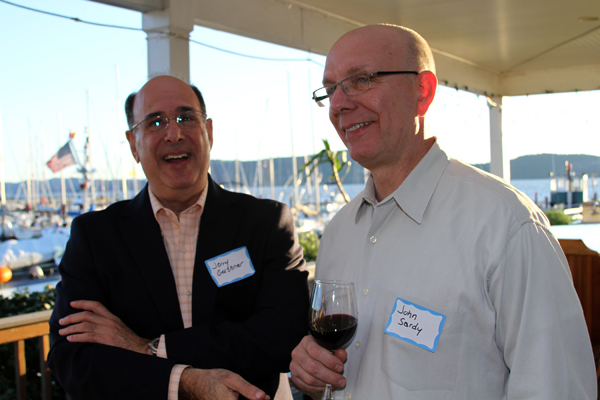 Schmooze – A special party for Chamber members to celebrate our members and the great leadership our members give to the community. 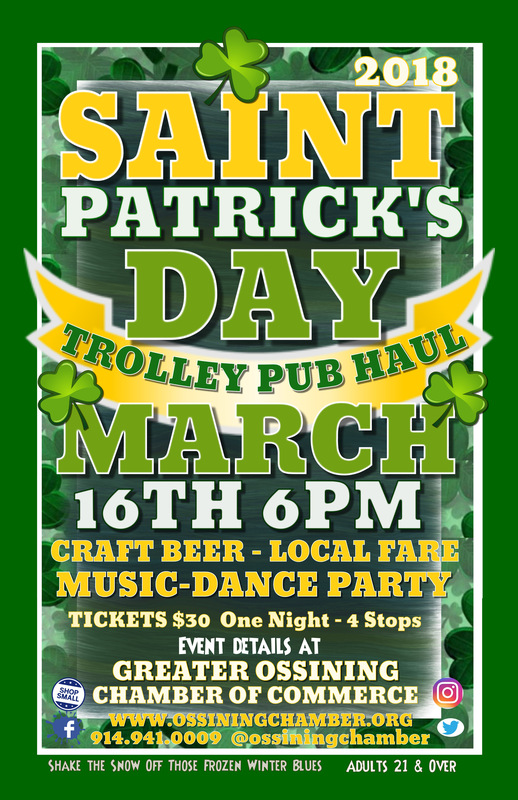 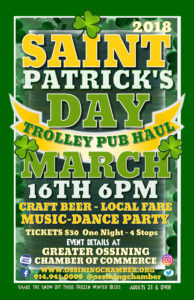 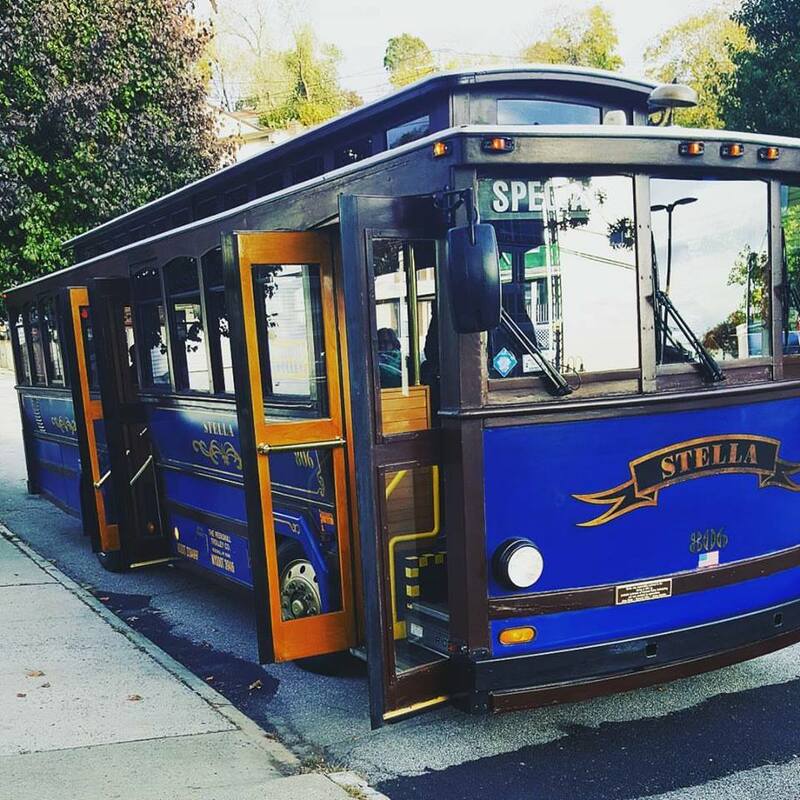 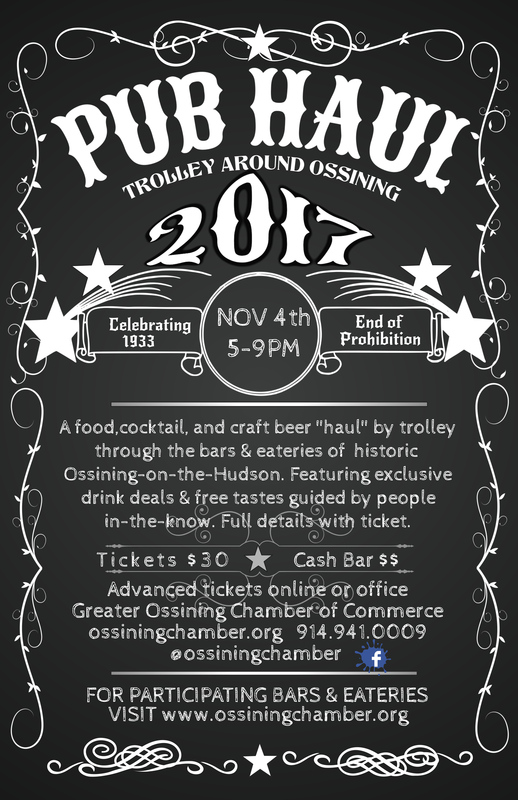 Pub Haul - In 2017 we celebrated the end of Prohibition with a Pub Haul via Trolley in November to 4 outstanding Ossining establishments. 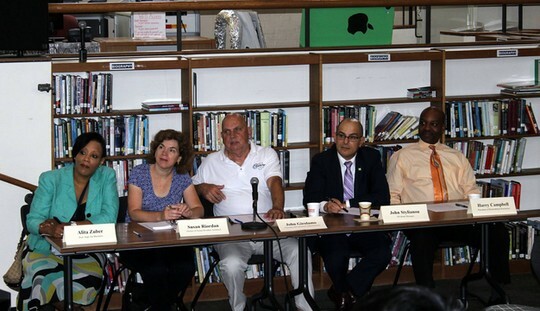 Chamber Board of Directors & Assistant Superintendent Zuber participate in Ossining's version of "SharkTank"